With such an awesome title and cover I was immediately interested in getting my hands on this novel. The description was intriguing. We first meet Althea. Althea is telling us what jail is like. She says it’s a place where you definitely do a lot of thinking. She lives in a cell that is the size of her walk-in closet at home. Althea often compares what she’s done to other inmate’s crimes so she can say “at least I didn’t do THAT”. The Chaplain tells her that no good can come from comparing. The Chaplain also said her crime does not have to define who she is. Althea never thought she’d leave her home in New River Junction. She had made promises that kept her there. But she’s been moving further away since that fateful day two years earlier. The day the police came. At first Althea and her husband, Proctor thought the men were there for lunch. But they were there as cops, not customers. They didn’t know that day had started with a phone call that would change everything. The caller was someone no one would have ever expected…especially Althea. NOW…Althea and Proctor await their fate. Althea isn’t the only one wondering who she is. Other members of the family wonder the same about themselves. When Lillian moved home years earlier she would never have guessed she’d end up where she is now. She wishes her sister, Viola would step in to help out with the girls. Lillian is trying her best but feels she’s getting it wrong. Plus she’s found this has brought up things from the past, things that she (and some of the other members of the family) would prefer to forget. Will she be able to confront the past? Viola lives in Chicago but has come back to help out with Kim and Baby Vi. But Viola is also struggling. She is trying to deal with everything going on in the family as well as her own health and well-being. The Butler family has had their struggles but over the years became one of the most respected families in town. But nothing prepares the family for the night Althea and Proctor are arrested. And just when they think things can’t get any worse? They do. Will the family get it together enough to help not just Althea’s children but themselves too? I enjoyed this story. However, I did have a hard time getting into it at first. It felt like there were a lot of characters and I was finding it difficult keeping everyone straight. However, I am glad that I stuck with it as I really found my groove around the halfway mark. The story is told with the sister’s alternating points of view and includes letters Althea and Proctor write each other while in jail. We learn a lot about this family and their struggles. I thought the author did a good job of bringing many issues to light. The story shows what can happen when anger and jealousy take over. We see the very different ways in which the characters upbringing and early experiences helped define them and stayed with them throughout their lives. Overall, I thought this was a good debut novel. An interesting story about longing, hunger (the many kinds), secrets, guilt, family, loyalty, and much more. 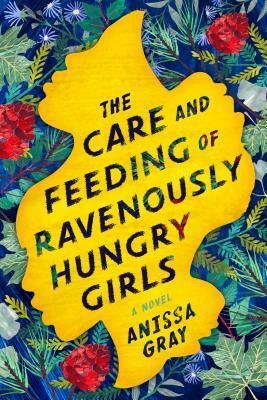 I’m excited to see what Anissa Gray writes next. I’d like to thank Berkley Publishing for providing me with an advanced copy of this novel. (Click on the book cover if you would like to read the Goodreads description for this novel). What an intriguing first line! I would love to hear what you are currently reading. Feel free to join in or if you like you can also let me know what your first line is in the comments below. I remember listening to Boney M’s Christmas album with my family every Christmas and it’s still one I like to listen to every year. I love Boney M’s music but these two songs are definitely my favorites. Merry Christmas and Happy Holidays to all of my bookish friends! Mary’s Boy Child/Oh My Lord Boney M.
Little Drummer Boy by Boney M.
I really enjoyed this author’s previous novels, “Emma in the Night” and “All is Not Forgotten”. Needless to say, I was looking forward to reading “The Night Before”. Especially after reading the description. The book begins four months earlier. Laura Lochner is in session with her therapist. She’s talking about a night from many years ago. She wants to know why she has such bad luck with relationships. Why she’s “the girl no one can love”. Her therapist thinks she’ll find the answers by going home. The story jumps to the present. 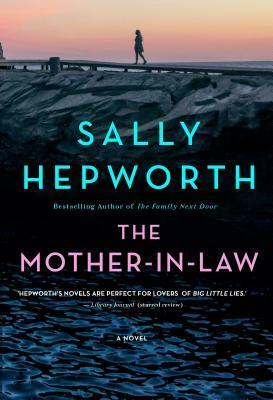 Twenty-eight year old, Laura has moved home and is living with her sister, husband, and nephew. She hasn’t told them exactly why she left New York, but they know that it involves a man. Laura left home after graduating from High School and she never looked back. Laura now feels like she’s ready to start dating again and joins a dating website. She meets a man on the website named Jonathan Fields. Her sister, Rosie is helping her get ready for her first date with Jonathan. Rosie is nervous about Laura dating. As Laura leaves, she tells her sister not to worry. She says she’s going to get it right this time. When Rosie wakes up the next morning she feels like something is wrong. She tries to tell herself that everything is fine. She knows that Laura has good intentions. But Rosie’s memories of a night eleven years ago keep her on edge. She opens the door to the bedroom where Laura has been staying. It’s empty. The bed has not been slept in. Rosie’s husband tells her not to worry, that Laura is fine. But as the day goes on even he starts to get concerned. They start to investigate on their own. They don’t think that calling the police will help them find Laura, in fact, they worry that it might even make things worse. Once I started this book, it was difficult to stop…very difficult. I thought this was a great read!! The story is told from Laura and Rosie’s point of view, and takes place in the present but includes flashbacks from the past. Some of Laura’s therapy sessions are interspersed throughout the novel. 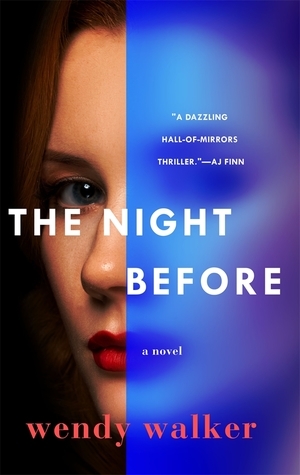 “The Night Before” is a smart and compulsively readable psychological suspense novel. With an original and engaging plot and a fascinating cast of characters, I was hooked from the start. I enjoyed the story and really liked how it all came together in the end. I CANNOT wait for more! !